Douglas Coupland, author of the novel City of Glass (2000), and the artist behind the Digital Orca (2009), the Terry Fox Memorial statues (2011), Gumhead (2014), and the Golden Tree (2016), will have a new contemporary art exhibition at Ocean Wise&apos;s Vancouver Aquarium called "Vortex" launching May 18, 2018. The gallery will inhabit the space adjacent to the Aquarium&apos;s Lower Teck gallery, currently occupied by the Discover Rays touch pool, which will close in early April 2018 to prepare for the Coupland exhibition. The art pieces in the exhibit space will be complemented by interactive experiences throughout the galleries that ultimately demonstrate the detrimental impact plastic has on marine life as well as highlight forward-looking solutions that will help us create more sustainable oceans into the future. Ocean Wise leads a Plastic Wise program which aims to raise awareness of the impacts of plastics in our oceans while providing positive solutions for decreasing single-use plastic to help protect the health of our oceans. For more information on upcoming programming or the Ocean Wise conservation initiative, visit vanaqua.org and ocean.org. The Vancouver Maritime Museum (VMM) is the premiere Canadian institution to host INTO THE ARCTIC. 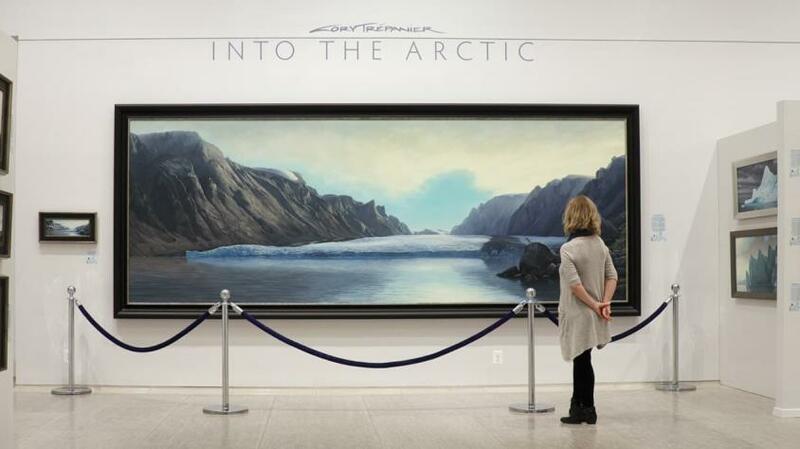 This exhibit encompasses over 50 Arctic oil paintings and 3 films from Trepanier’s 4 Arctic expeditions to the furthest reaches of the Canadian North. Its wilderness is so remote and untouched that many of its landscapes have never been documented before. Due to its extensive scope, the VMM has partnered with Vancouver Civic Theatres for an additional exhibit location at the Queen Elizabeth Theatre. The artist, Cory Trépanier, is a fellow of the Royal Canadian Geographical Society, and was named one of Canada’s Top 100 Living Explorers by Canadian Geographic magazine in 2015. He is also a member of the Explorers Club of Canada, and was recently honored with its highest award, the 2015 Stefansson Medal.